Having a power backup is a must, specially if you are using an android device. 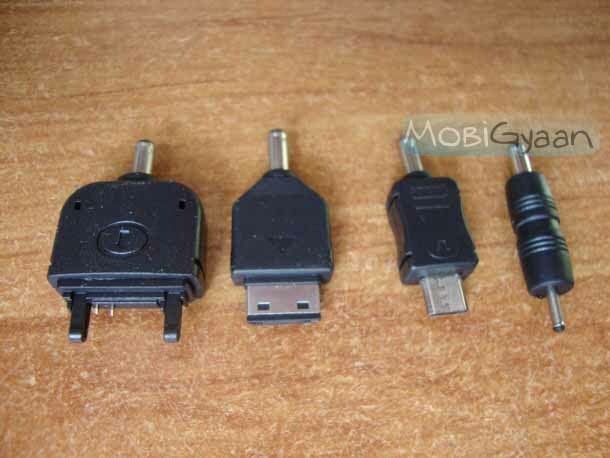 And even if you are not using an Android device, having an extra set of batteries or a portable charger can be useful. I recently got myself a portable solar charger – Solmate flare and finding it really useful when I travel or when there is a power-cut. The Solmate Flare comes with a Charge in/out Cable, USB Adapter, 4 Adapter tip, Carry Pouch and a Quick Start guide. 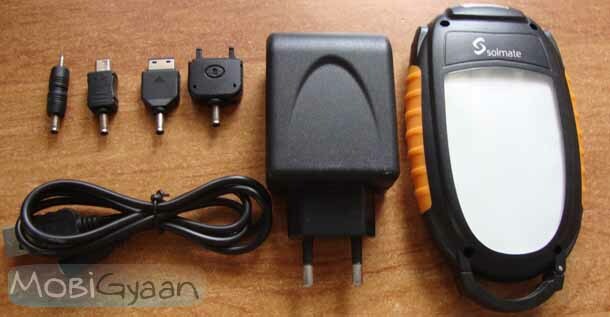 It has a Li-ion Rechargable, 9.7V, 1200 mAh battery and has a Solar Panel of 0.55W. 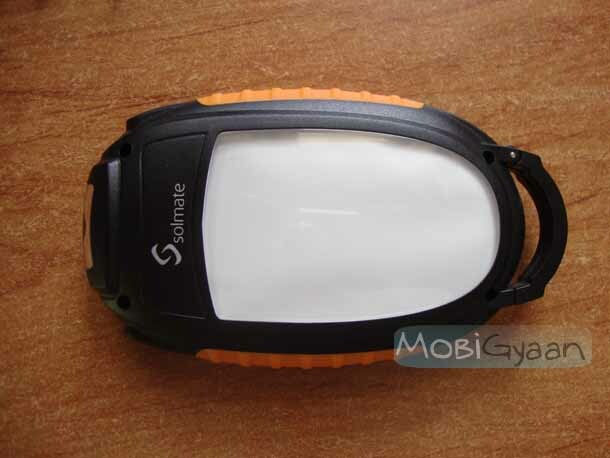 It comes equipped with 100 Lumens flashlight or a lantern (panel light). 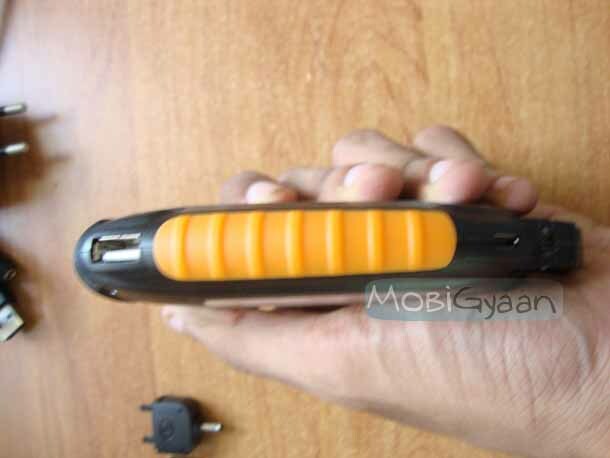 The curvy design with Black and Orange body color gives it a nice look. It has Lighting control button on one side and a USB (Charge out) Port & Micro USB (Charge in) Port on the other side. 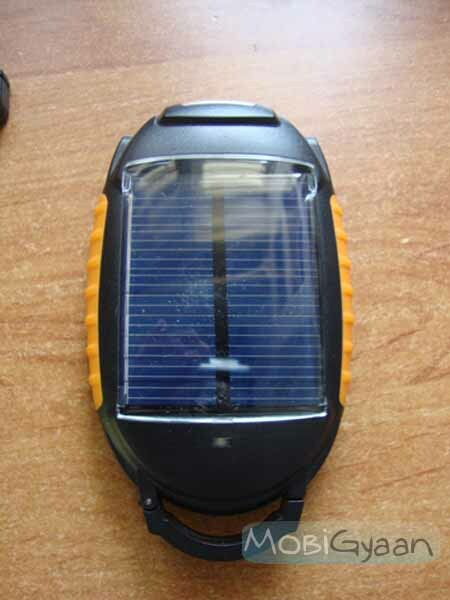 It has a buckle on the top which can be use to hang it on an appropriate place for solar charging or lighting. When I first heard about this feature, I was pretty much excited as I thought that it would be able to charge itself under normal room light as well, however I later realized that it needs proper sunlight to get charged. Not the feature which can be used daily, but can surely be used while out on picnic or camping. The 1200 mAh battery takes about 2.5 hours to get fully charged via AC charging or USB charging and a massive 8-12 hours in case you use solar power to charge it. The fully charged 1200 mAh battery gives you around 800-900 mAh of charge, as certain percentage of the power is lost during the process of charging one battery from another. Priced at Rs. 1,295 we feel that that the device is decently priced considering the features it offers. However, it would have been better if it would have a indicator which shows the amount of charge left in the battery, right now it just comes with a battery indicator which lights up when it is getting charged.